Featuring over 40 arcade games along with other memorabilia from the collection of Bradley & Jessica Czech, The Golden Age of Video Arcade Games will transport visitors back to the height of a multi-billion dollar industry built on quarters alone. This special exhibit will feature titles from the familiar, like Pac-Man, Donkey Kong, and Frogger, to the unusual. Some of them will even be on Free Play for you and your family to enjoy. 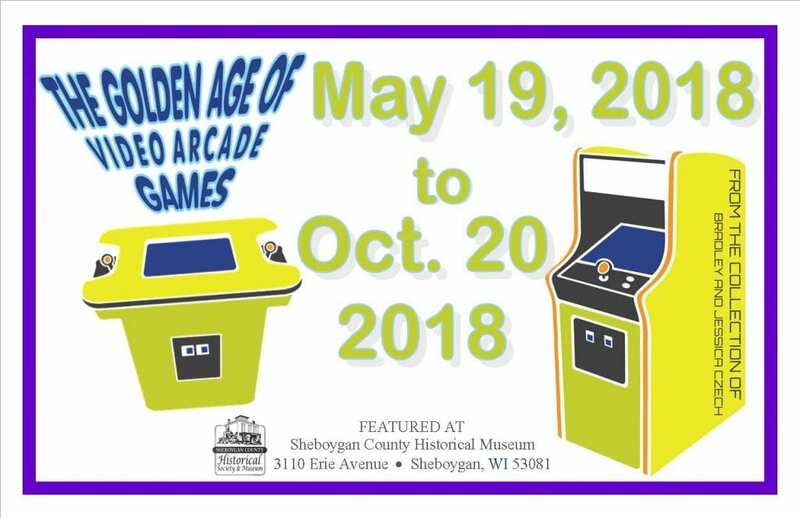 Join the Sheboygan County Historical Museum on a trip back in time to the sounds and sights of the video game arcade.